Bowlers have thoroughly dominated the PSL this year. The Pakistan Super League (PSL) has finally come to a close after some breath-taking action. Islamabad United, who looked dominating throughout the tournament emerged the victorious team. In a low-scoring final against the Peshawar Zalmi, IU won by 3 wickets with 3.1 overs to spare. Luke Ronchi, who has had a phenomenal tournament throughout was adjudged the ‘Man of the Match’ as well as the ‘Man of the series’. Ronchi ended up as the leading run-scorer in the league while Wahab Riaz topped the bowling charts. There were some exceptional individual performances throughout the league. Some of the players put up consistent performances throughout and deserve a chance in the national team. Any cricket fan would have goosebumps when they recall his spell against Shane Watson. That particular spell had everything- fire, passion, aggression. However, Riaz hasn’t been at his best with the ball in the recent times. He lost his place in the Pakistan team. Furthermore, his ability to get the ball back into right-handers was on the downside. It was a very tough period for him but boy didn’t he do some miracles in the PSL. 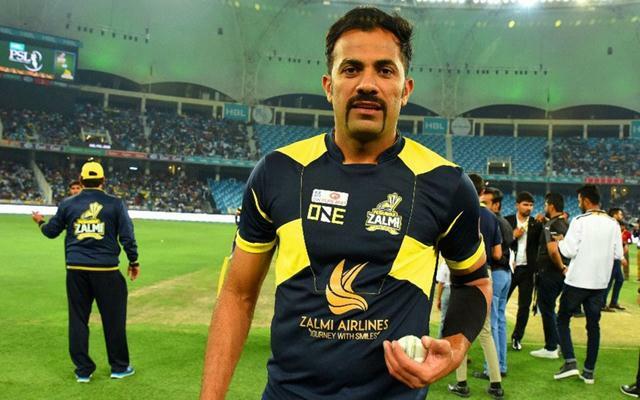 Riaz who represented the Peshawar Zalmi this year was the wrecker-in-chief for his side with the ball. He was absolutely brilliant and was a vital cog in the team. Riaz has picked 18 wickets at an average of 19.11 in 13 games this year. He bowled many useful spells and ended the season as the leading wicket-taker.